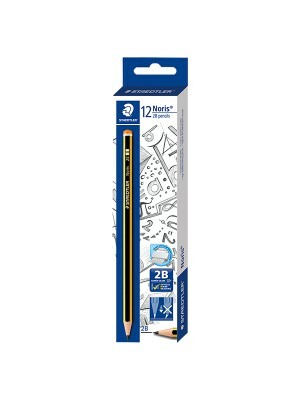 Triangular shape pencil to give better grip for hand and tripod grip allows relaxed writing.The penc..
Graphite pencil 1323-2BThe Pencil 1323 is a high quality pencil with a 2B lead for excellent shading..
* 12 PCS 2B Writing Pencil In 6 Body Colors (288G / 12) Get the all-new STABILO Exam Grade pencils i..
* Ideal Lead Grade for fine and cleaner writing. 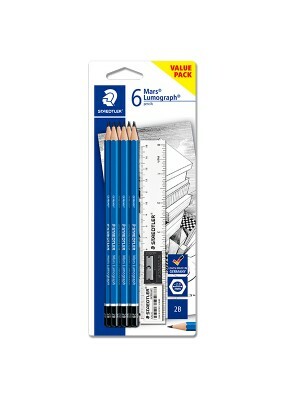 * Available in 6 body colors* 2B grade pencils* Bett..
* Superb quality examination graphite pencil. 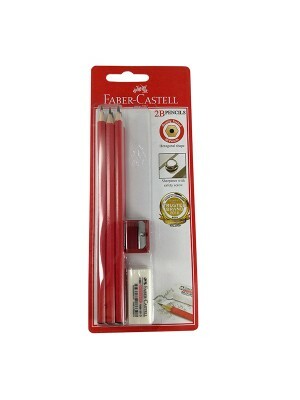 * Exam grade: Specially designed for objective sheet. 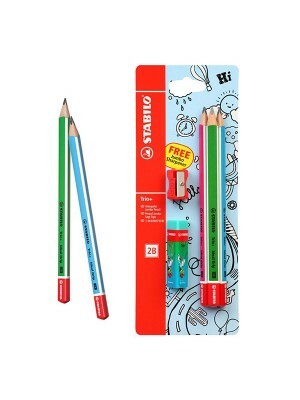 * ..
* Trio+ Triangular 2B Jumbo Pencil with bigger lead and triangular shape gives an ideal grip for sma..
* Triangular design* non-slip grip zones ensure a relaxed hand position. 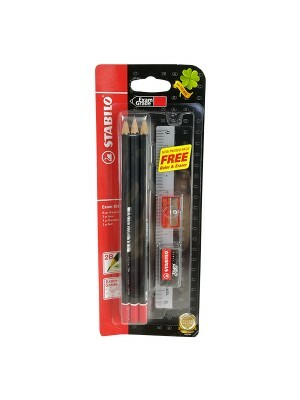 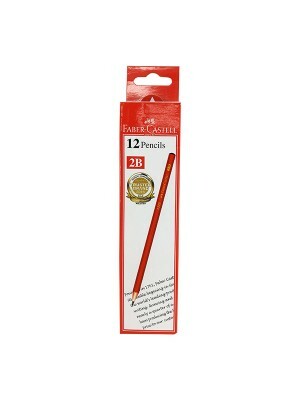 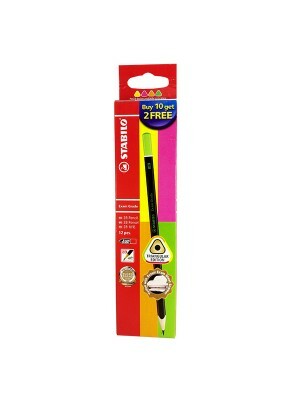 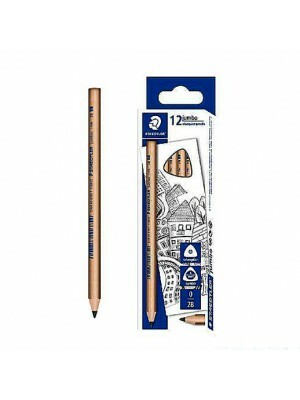 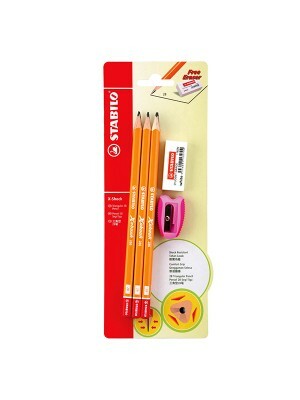 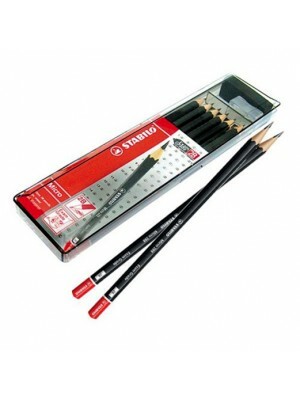 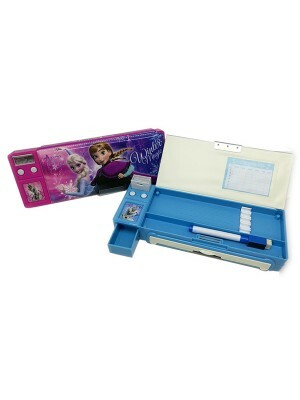 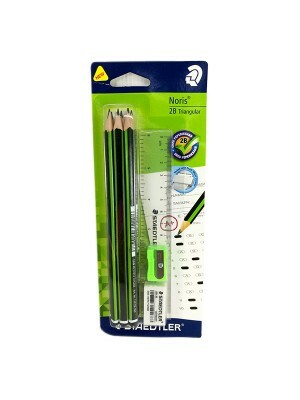 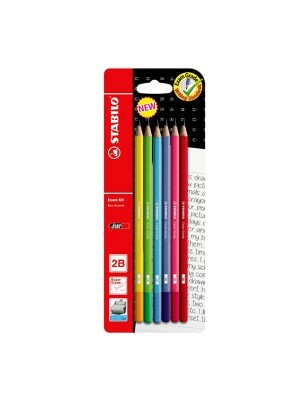 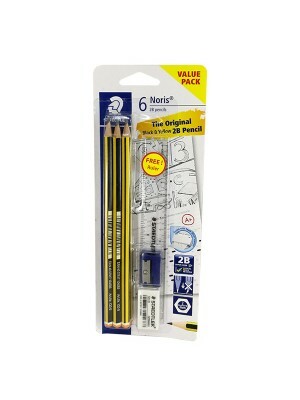 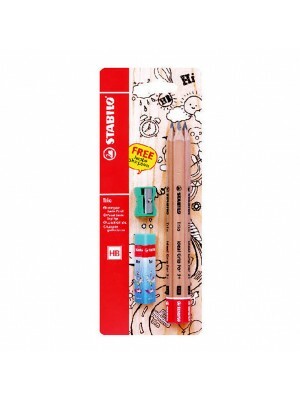 * Pencil hardness is 2B* Fre..
* Contents: 12 TRI-GRIP pencils* Degree: 2B* 1 Box 12 unit of Pencills 2B. 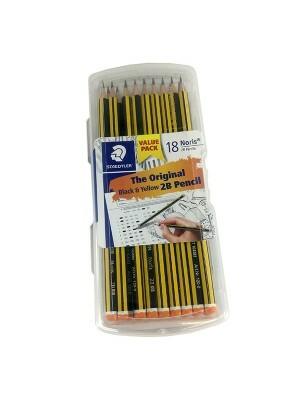 * Product Wt. 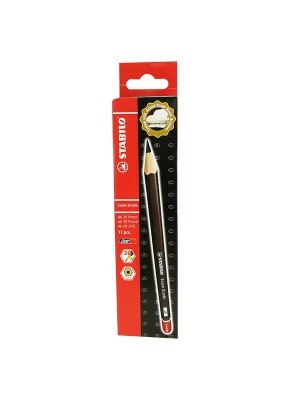 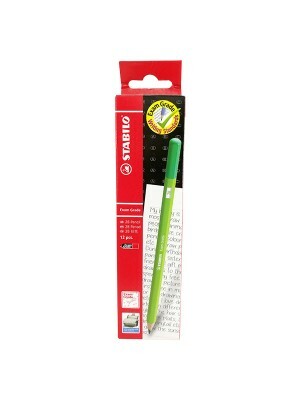 : 150g..
* Soft,dark lead for filling in multiple choice questionnaires confidently and clearly. 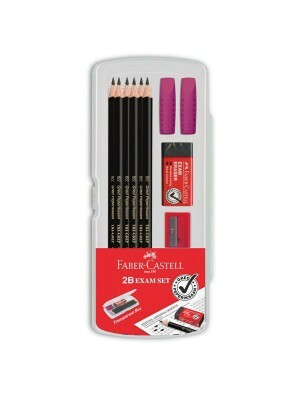 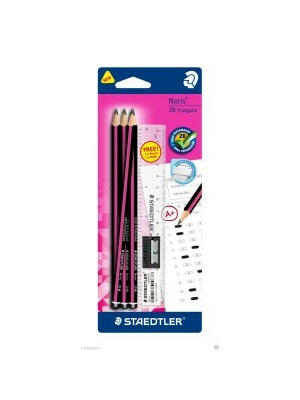 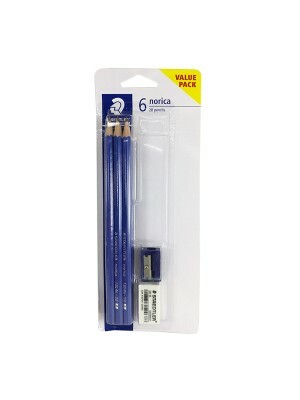 * 2B Pencils-..
Blistercard containing 6 pencils - 2B, 1 eraser and 1 sharpenerArticle number: 130462BBK610MY* Good ..
* 2B blacklead pencils* Protected againts lead breakage * Product Wt. 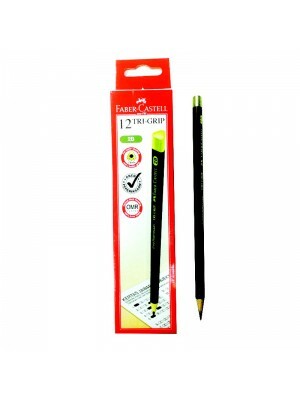 : 150g..
* Triangular shape to give a better grip for hands. 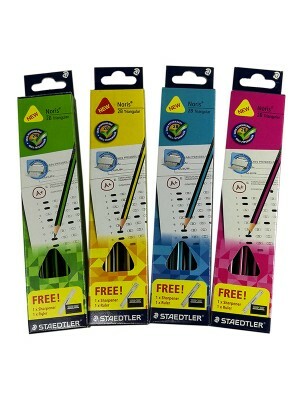 * Shock resistant for special anti-breakage coa..
* TRIANGULAR EDITION * 2.6mm X 12s/BOX* PENCIL DESIGN AVAILABLE IN 4 COLOURS* Product Wt. 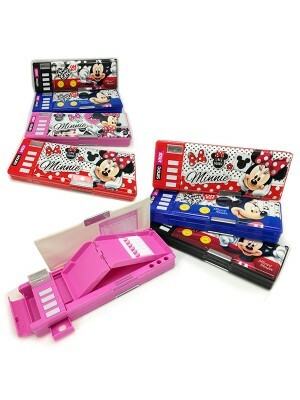 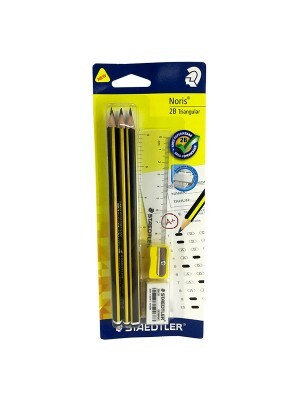 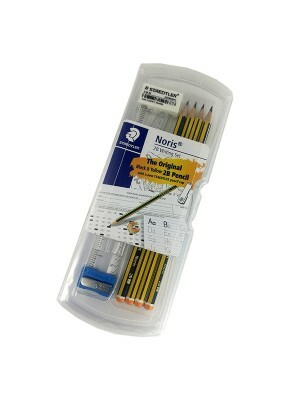 : 200..
Noris® 120 PencilPlastic box containing 18 pencils - 2BArticle number: 120-0 CB18 MY* High quality p..
Noris® 120 Writing SetPencilPlastic box containing 4 pencils - 2B, 4 plastic transparent pencil caps..
* FSC™ 100%* OMR Tested* Strong and dark leads* Smooth and faster shading* Triangular shape for bett..
* High quality pencil for writing, drawing and sketching* Ideal for school and office use* Unbelieva..
119N 2BJumbo natural pencilsCardboard box containing 12 pencils - 2B* Good quality pencil* 2B lead* ..
* Stationery Value Pack•6 x Staedler Mars Lumograph Pencil 2B•1 x Ruler•1 x Eraser•1 x Sharpener.. 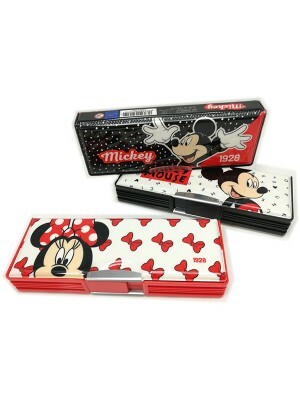 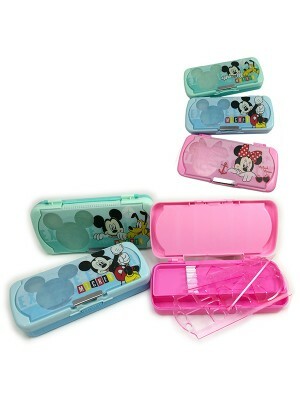 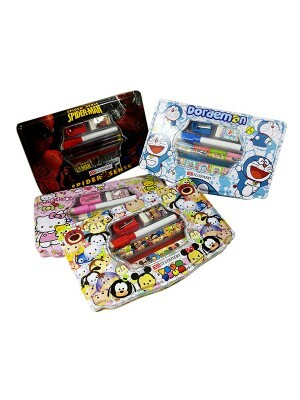 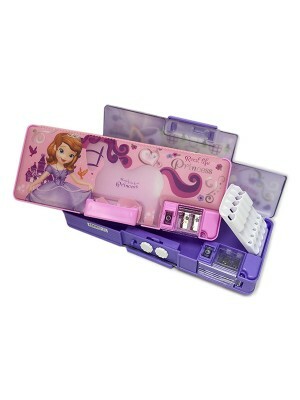 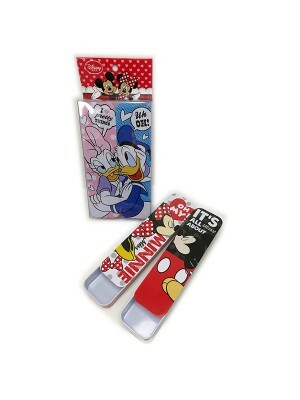 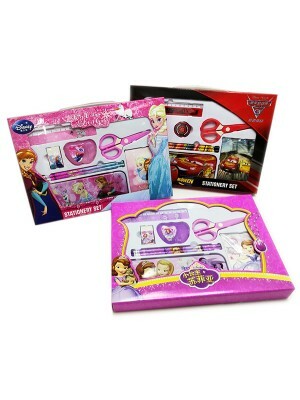 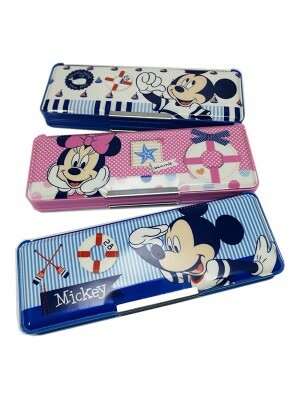 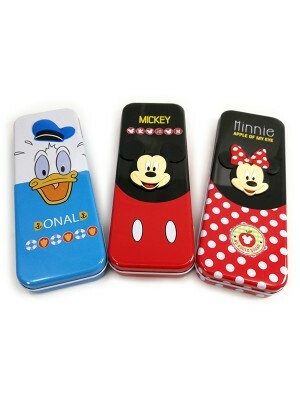 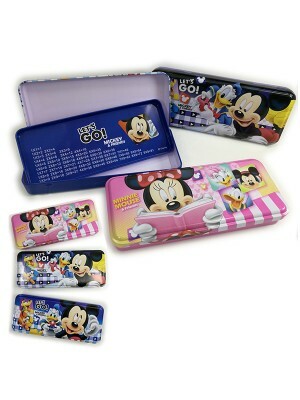 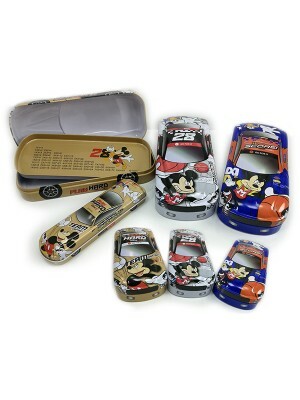 Complete and attractive sets for school children. 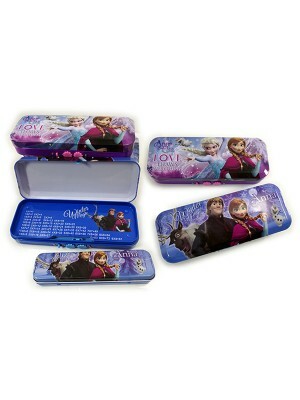 These sets provide you with everything you ne..